Etna - the largest active volcanoe in Italy. 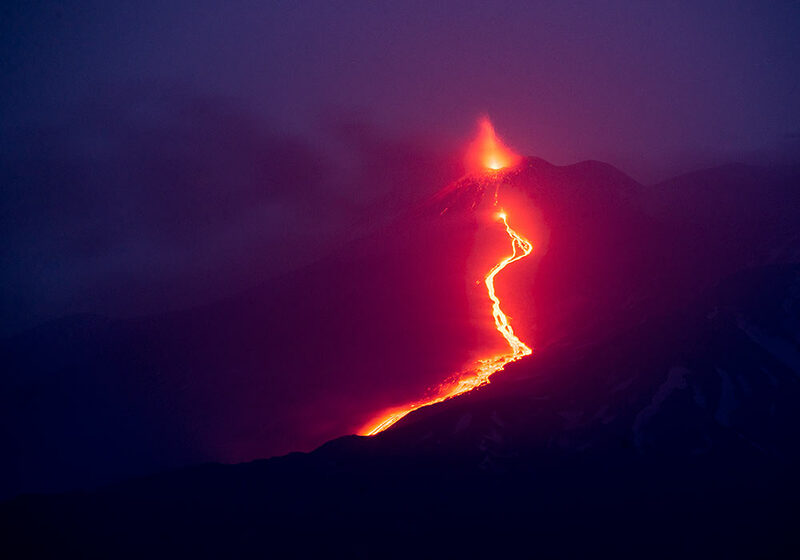 Etna erupting in May 2015. People in Taormina are watching. 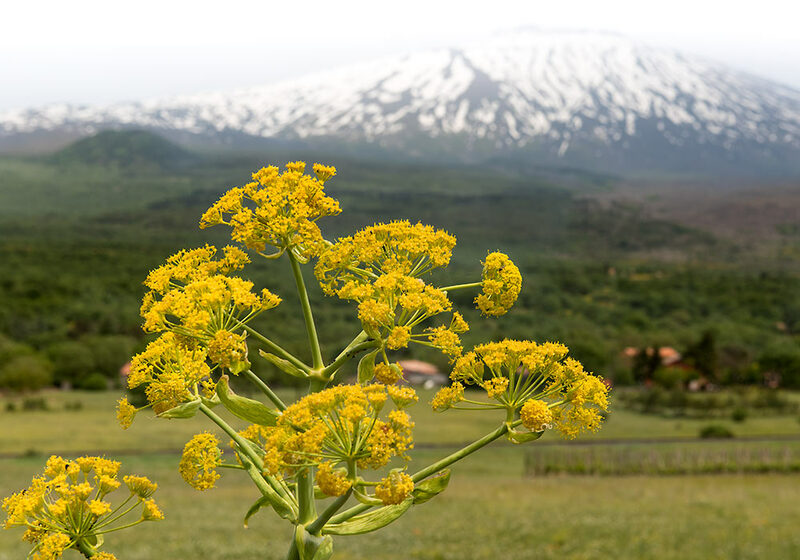 Signs of vegetation as I was driving up Mount Etna. 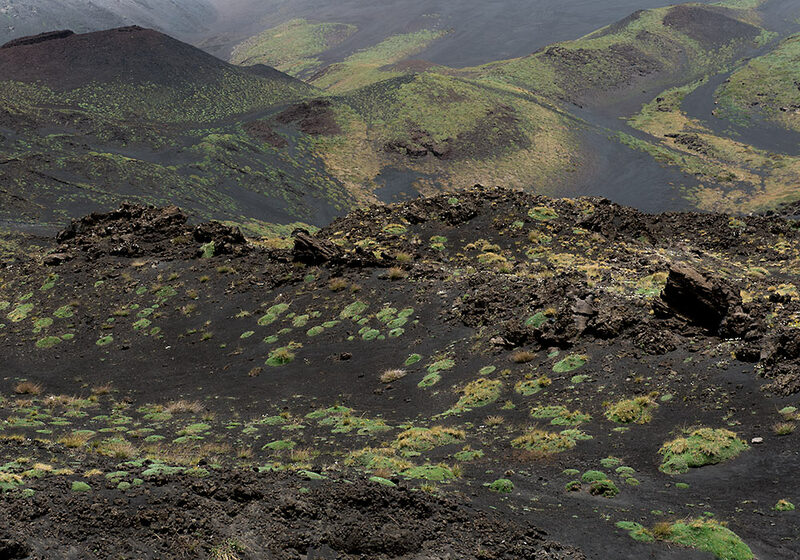 Mount Etna is one of the most active volcanoes in the world. 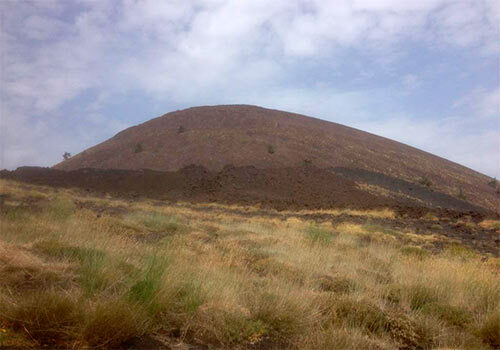 The volcanoe can be seen from large parts of Sicily. This view is from Taormina. 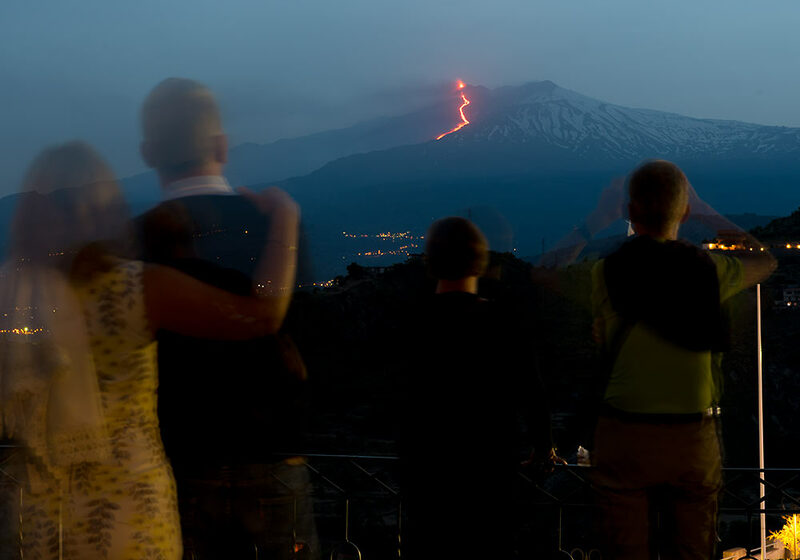 Etna erupting in May 2015. View from Taormina. 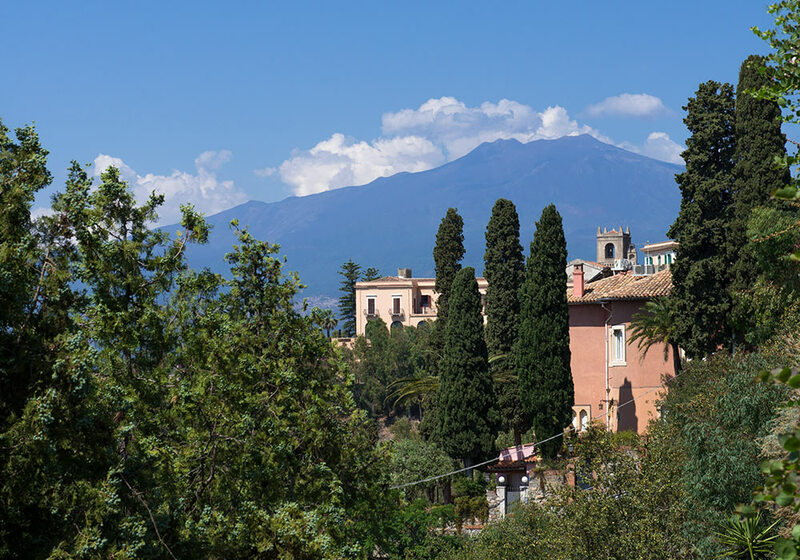 The Italian chef Giorgio Locatelli tells of his soft spot for Sicily: "Mount Etna, one of the most active volcanoes in the world, is also one of the most beautiful areas of Sicily. 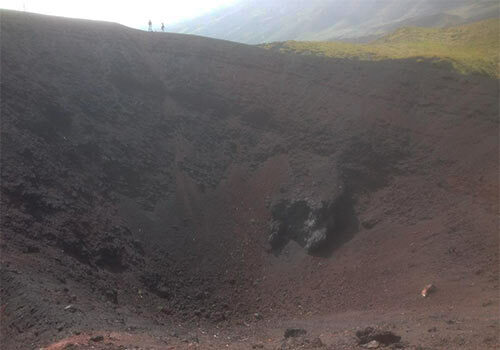 You can take the cable car up to 2,500m and then walk to the crater. Make sure you wear warm clothes, even in summer. The view from the top is unbelievable. 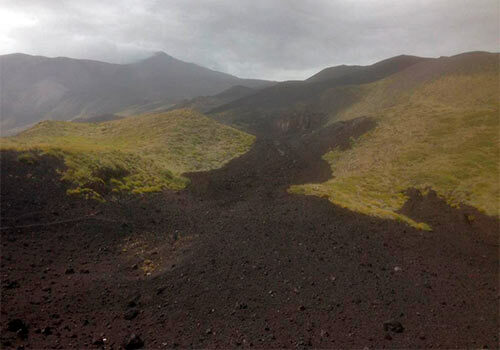 Lava river on Mount Etna. British Pathé item title reads: The Etna disaster. 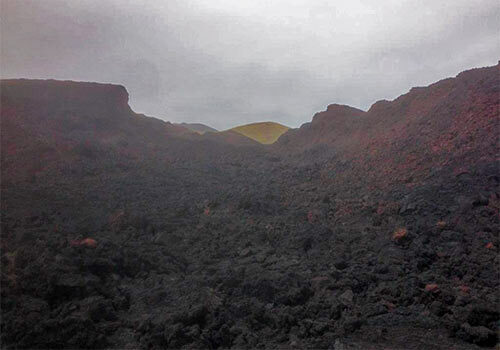 Avalanche of molten lava destroys everything in its path, rendering 100,000 people homeless. 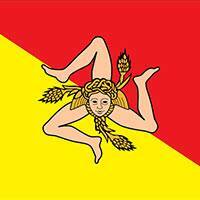 Sicily.